Now featuring the Marvel Studios’ Avengers: Infinity War Designs. 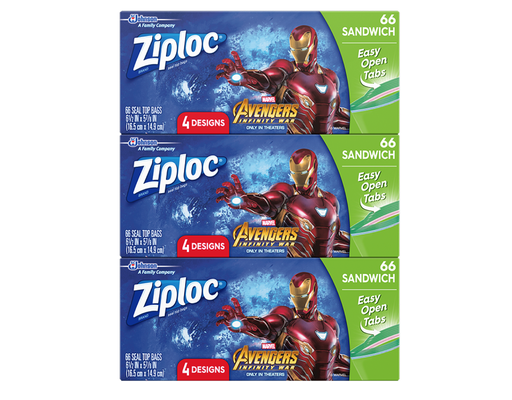 Whether you've got a big double-decker sandwich or a skinny PB&J, the Ziploc Brand Sandwich Bags featuring Marvel Studios’ Avengers: Infinity War Designs are perfect for packing the sandwiches kids love and keeping food secure and out of the hands of evil villains. 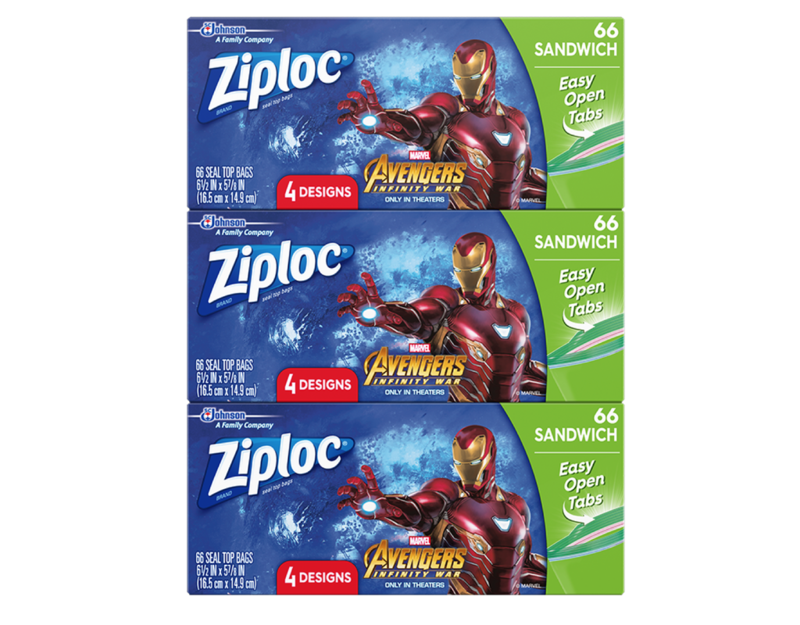 Use these handy bags to bring recipe ideas to life, pack lunch for Super Heroes or just to keep snacks fresher for longer. You can also use them to pack crayons on car trip and to keep school bags organized, making it easy for kids to find things when reclaiming the universe. BPA free.